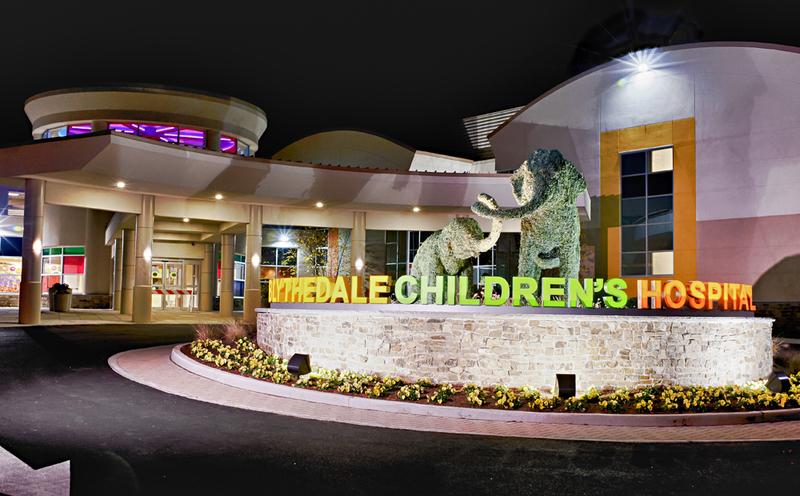 For one special inpatient at Blythedale Children’s Hospital, Election Day was a particularly momentous occasion. 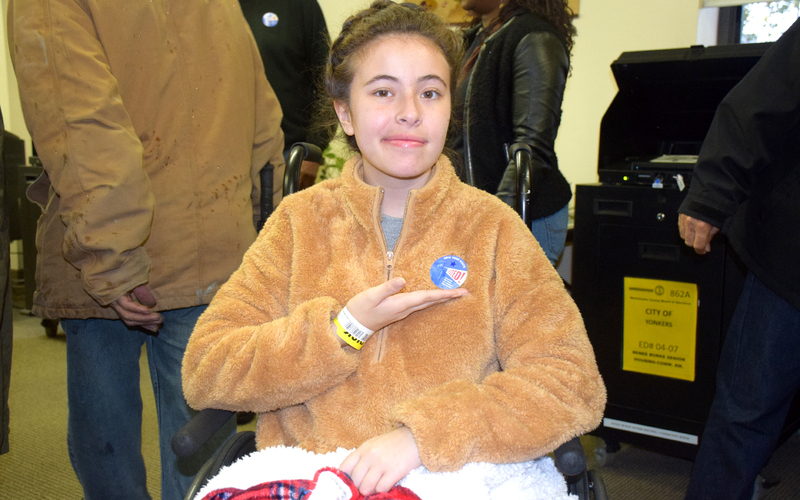 Eighteen-year-old Amoonthays (Amoon) Khrisat Velazquez cast her ballot in the important midterm elections and voted for the very first time. The teen was admitted to the Hospital last month for comprehensive medical treatment and intensive rehabilitation following a ruptured arteriovenous malformation, or AVM - an abnormal tangle of blood vessels in the brain or spine that can cause hemorrhages, strokes or blood clots. This second stroke (the first occurring when she was 11) left her with significant left-sided weakness and worsening visual impairments. Despite being hospitalized, her interest in politics didn’t fade. Prior to her unexpected medical setback, Amoon was studying Political Science as a freshman at Westchester Community College. One of the first things Amoon asked her multidisciplinary team at Blythedale, was if she would be able to go out to the polls and vote. She remained motivated to regain her strength, independence and continue healing - all in hopes of being able to exercise her democratic duty. This backing from her Blythedale family really made an emotional impact on the Yonkers girl, as she prepared for the big day. Blythedale staff from across disciplines and departments stepped up to bring Amoon to the ballot box. Amoon was eager to research the candidates and their stance on the issues that were important to her. Her clinical team, including her speech therapist, worked with the Hospital’s information technology experts to print materials in a specialized font that would permit her to read the information, regardless of her visual impairment Amoon’s Social Work team contacted the Westchester County Board of Elections officials to coordinate registration and polling location information, and coordinated the specialized transportation needed to get her to and from her polling place safely. “As the pieces started to fall into place, it created this joy and excitement in all of the staff that she not only recognized the importance of her voice in this election, but that she wanted to set an example for her peers and would be able to do so,” said Ritchie. “It is impossible to work here and not be profoundly affected by the tenacity of spirit of these young people and their families,” said Ritchie. “No matter the obstacles, they never give up. They keep fighting to heal and to thrive, and we want to do everything in our power to support them and give them every opportunity to maximize their potential. I think that’s the dream everyone has for children." “The bottom line is, when we talk about health care and policies that impact the provision of care to children and teens with medically complex conditions, we need to listen to voices like Amoon’s, because she has lived it,” she said.